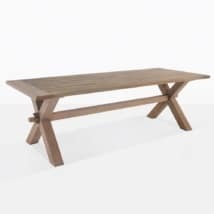 The Franklin Outdoor dining table is a beautiful, traditional table that looks like it’s been a part of your space forever. 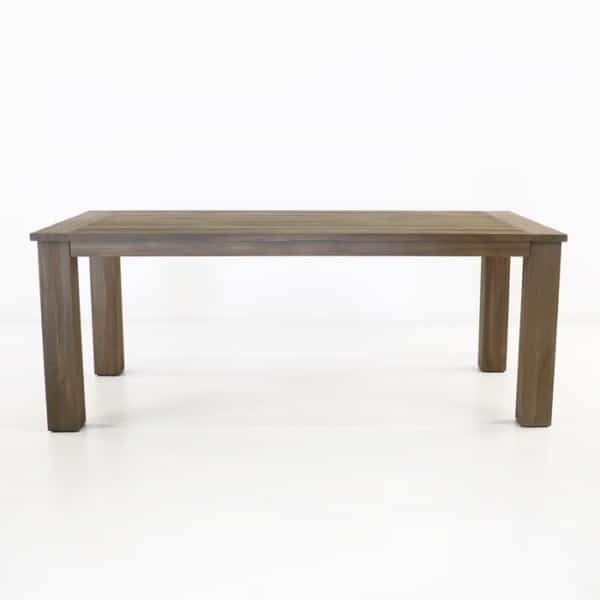 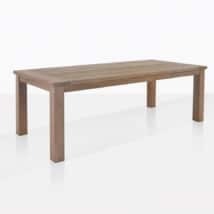 The inviting look and vintage finish make this table a comfortable dining partner for most spaces. You can pair this table with such a wide range of outdoor dining chairs because of the clean styling and the characteristic finish. 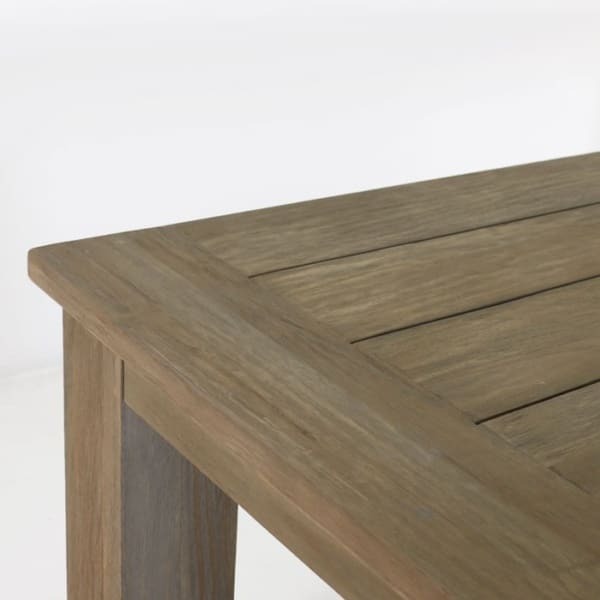 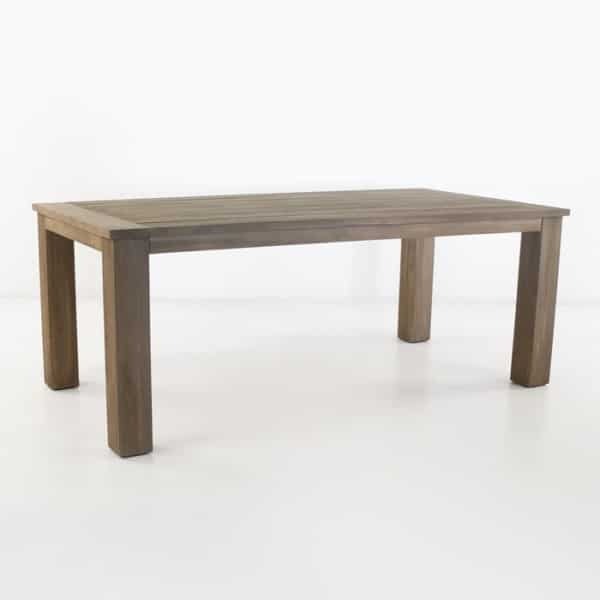 Made from reclaimed teak that has been washed to provide a beautiful finish, without taking away from the smooth, confident looks of the table. 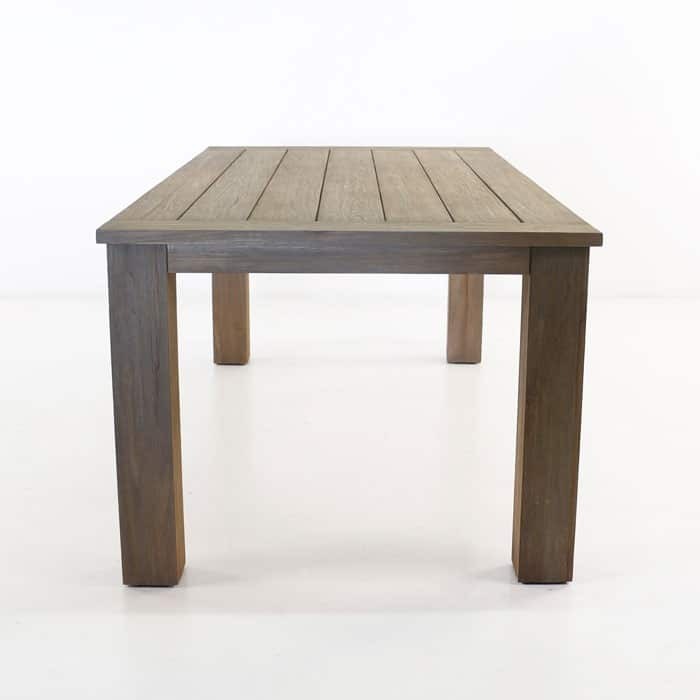 This outdoor dining table is made with a capped end on the short sides of the table to give a finished look. 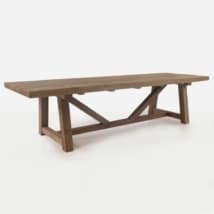 W39.4" x L78.7" x H29.9"
The tabletop is a farmhouse style, with capped ends and features a traditional flat large plank design. The reclaimed washed teak wood on the Franklin outdoor table is a perfect outdoor material and will eventually patina to a gorgeous light silver color in the outdoor environment. 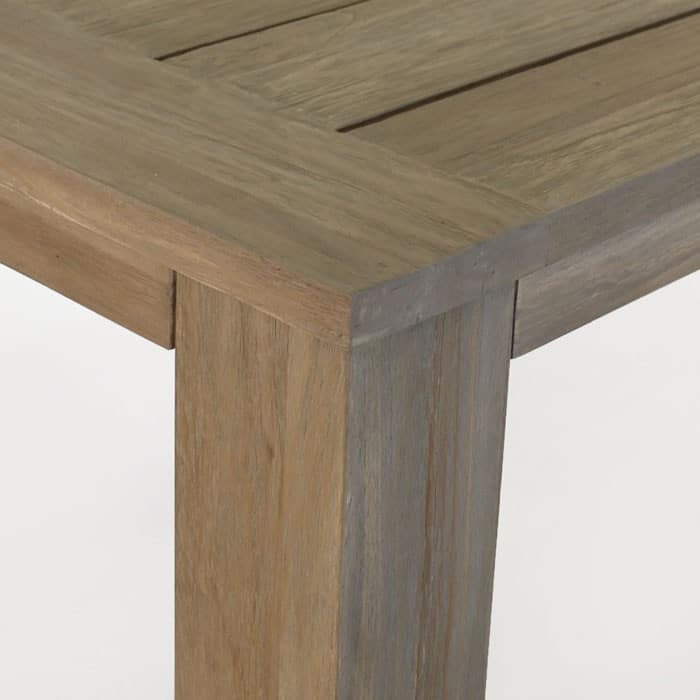 The four legged frame of this heavy duty reclaimed teak outdoor table features thick, substantial table legs and a traditional styling.